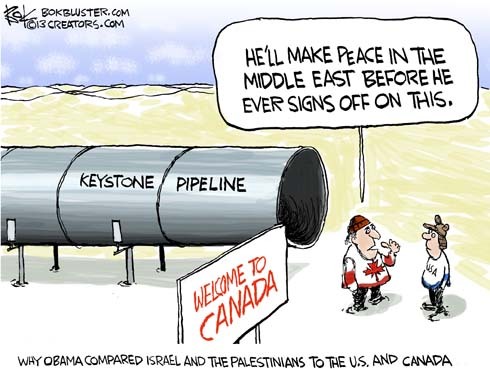 The president compared Israel and the Palestinians to the U.S. and Canada during his Middle East trip. Whatever, it’s all the same. 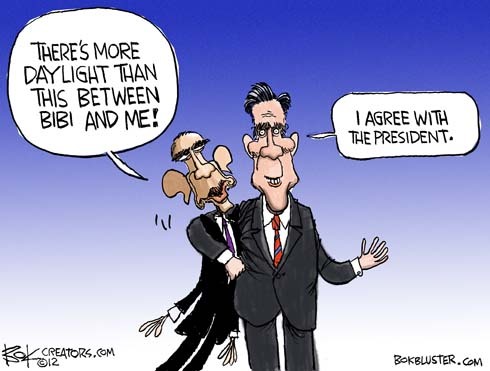 Governor Romney followed President Obama’s lead on foreign policy during much of the presidential debate Monday night. The president seemed dismayed by this, especially when Mitt stepped on his toes on the issue of “daylight between the U.S. and Israel”. I was dismayed to miss Monday Night Football and game 7 of the NLCS. Got this from a throw away line in a Michael Gerson column. Democratic delegates have managed to boo for God and Jerusalem and wildly cheer the president of NARAL. 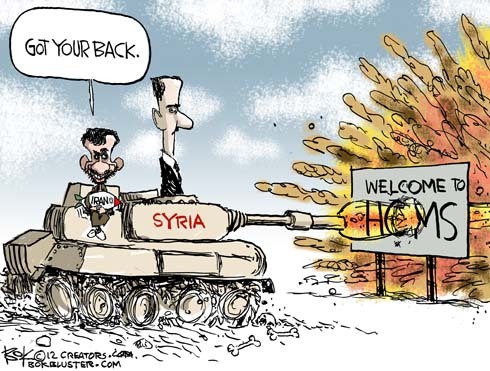 President Obama has Israel’s back but President Ahmadinejad has Syria’s back more. 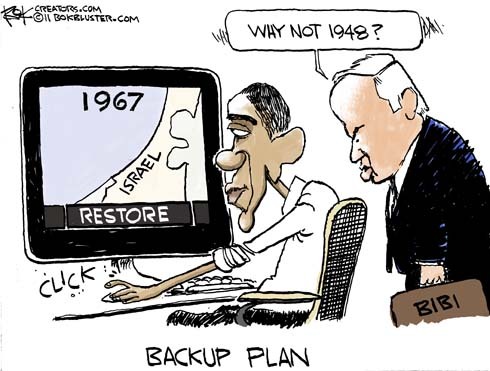 Here’s a brief israeli border backup history. 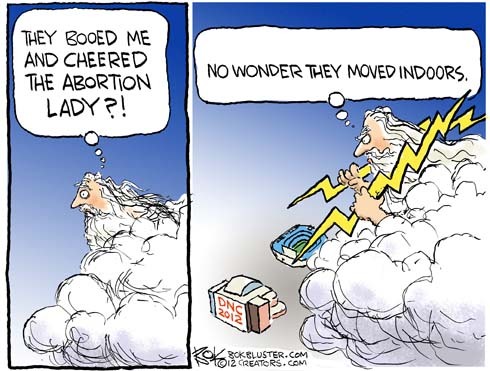 Be 1st on Your Block to Enjoy Bok's Cartoons! Do we have a border crisis?